This is the TuneAttic Atomium Map for Ambient, Chill Out and Downtempo music. Click on any of the artists to view their full TuneAttic profile or click on the subgenre labels to see each TuneAttic Ambient, Chill Out or Downtempo sub genre page. 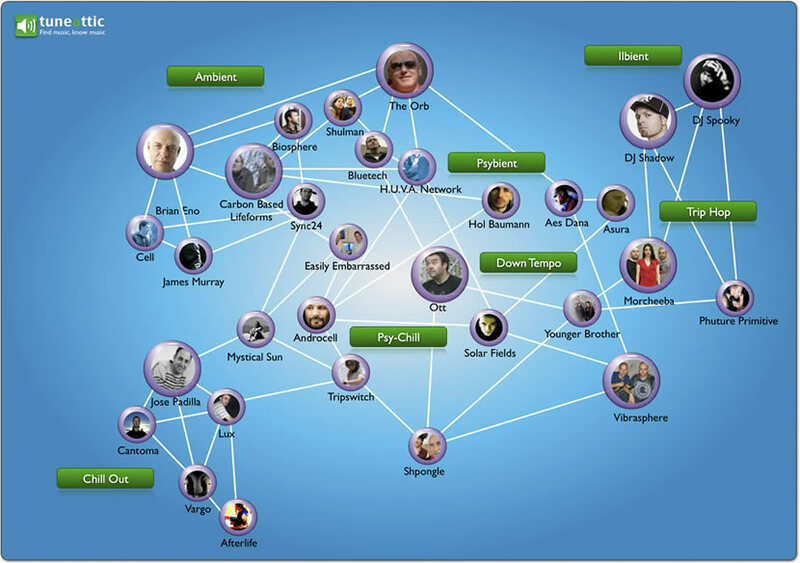 You might also want to look at the TuneAttic Ambient, Chill Out and Downtempo Genre Tree to see how all the subgenres relate to each other. Note: not all Ambient, Chill Out and Downtempo artists are included here. For a complete list of Ambient, Chill Out and Downtempo TuneAttic profiles click the 'List of Profiles' button on the left handside menu.